May we keep you updated on what’s happening at the Shrine? 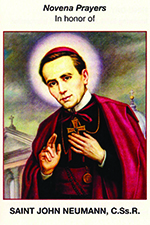 As soon as you sign up, we’ll send you a free pdf of our St. John Neumann novena! Your privacy is important to us, and we will never share or sell your email address.